Before going up on stage in front of 3500 Realtors last week, I was speaking with Teresa Boardman about what she enjoys to most when it comes to posting on her St. Paul Real Estate Blog and her ActiveRain blog. “Photos I shoot and my Fridays Are For Fun posts,” she quickly responded. So when I got back from the big event, to an over-stuffed, under-managed inbox, I wasn’t surprised to find the following article from Teresa, ready for the Tomato. It has been fairly well established that through our business blogs we build relationships with the people who live inside of our computers: home buyers and sellers, searching the internet and looking for help with their next purchase or sale. The words we put on our blog help people find us through the search engines and if we do a good job posting the right kind of content readers stay on our blogs and read our posts. However, there is more to a blog than words, especially when it comes to real estate blogs. Pictures are an essential ingredient to an engaging blog, yet often over looked, and even considered unnecessary by some. Images are worth a thousand words and are almost like magic in the way they attract people. This past weekend I had some people in my car that are relocating from Switzerland. They asked to see some of the places I photographed for my blog. They want to live inside of one of my pictures. Pictures with words create a kind of local experience for readers. Shots around town illustrate that I know St. Paul, and demonstrate my understanding of housing and architecture and my love for where I live and for what I do. They show St. Paul through my eyes. They are also my voice, and communicate emotion whether I want them to or not. 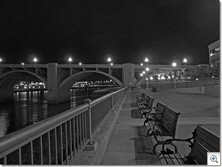 Search engines like the tags for the photos, and help bring more visitors who are interested in St. Paul to my blog. The pictures that I have uploaded in Flickr and in Photozou create traffic and through my profile viewers can find my blog. Occasionally I meet photographers on the internet, we share ideas and they give me advice when I ask. Now that digital cameras are affordable, easy to use and storage space is cheap and readily available, picture taking is easy. Taking pictures, like writing, gets easier with practice. Sometimes I take 20 or 30 shots before I get what I want, a picture that shows what I see, or that will communicate what I am trying to say. The best kind of camera to have is one that you know how to use and will use. I have three cameras, and use the least expensive camera the most. I never leave my home without a camera and rarely have to go out of my way to find an opportunity to take a picture. Looking at a photo is a great way to come up with an idea for a blog post. At least once a week I take a photo, or two or three, and turn them into a blog post. This is the secret of how I am able to post seven days a week. Honestly I don’t have that much to say but there is always something to see. If I had to choose between a photo blog and a blog with words and could only do one or the other, I would go with the photos. It is easier to communicate through photos, less time consuming and I don’t need to use spell check. Thanks Teresa, we love having you on the vine. I just received a small digital camera for my birthday in August. We have a high end SLR w/ wide angle which we use to shoot our listings, but it is cumbersome and my wife has it most of the time as she handles the marketing and photography. I find myself taking the new “portable” camera everywhere and can’t wait to incorporate its shots in to the blog. Thanks for the motivation! Great reminder of the beauty of blogs – they serve SO many purposes, and some we may not even suspect. Just like Teresa’s Switzerland couple – they had a feeling of what they wanted from some of her pictures,and yet she might have only intended to coomunicate a little about herself. Yet – a great connection was made… thanks, Teresa. One key for getting great photos for a blog or website is to always have the digital camera in the car. You never know what you will run across that will make a great photo. Teresa: Thanks for reminding me to take the memory card out of the computer–and thanks for a great article about the power of a picture. Yes, I agree. “Pictures are worth a thousand words.” I too, carry my camera with me wherever I am…in fact two (for ‘just in-case’). I also agree. Photos and well written (I’m working on the well part) Blogs are a great combo. 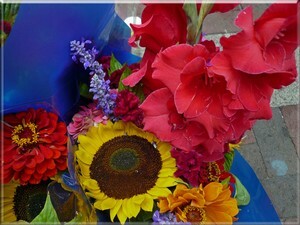 I also try to put a reasonable caption on the photo if it is for a site such as Localism.com. Well said. The better we make use of photos with our listings, the more houses we sell and the more leads we generate. Likewise, the better we make use of photos on our blogs, the the more houses we sell and the more leads we generate. Photos simply work. Like the famous phrase, “Pictures say a thousand words”. Yes, my routine when leaving the house is: wallet, phone, keys, cards, camera! I hate that feeling of, Man, wish I had my camera because this is a once in a lifetime shot. So many realtors in this day of digital photography are either lazy or just unmotivated…one of the blog posts that lives in the back of my mind is “the worst of atlanta real estate photography” ;-> The material is endless. Teresa.. what kind if camera do you use?? I love your photos. I am getting ready to ditch mine and get something that accomodates a wide angle lens. Janis – I have a couple of camera’s and really can’t recommend one. The most important things to look for are camera’s that you can and will use. The kodak V series have wide angle lenses. I have a canon digital elf that doesn’t have a wide angle lens and a panasonic Lumix that does. The night shots were taken with the Panasonic and the flowers with the Canon. Now that I am blogging I feel naked if I go out without my camera.